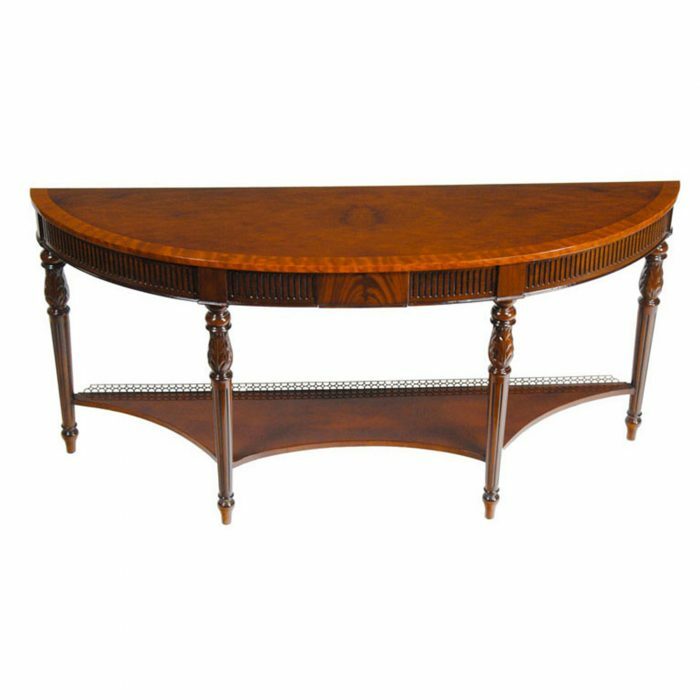 Designed after an English antique, this high quality Mahogany Inlaid Console by Niagara Furniture makes elaborate use of high quality inlays. 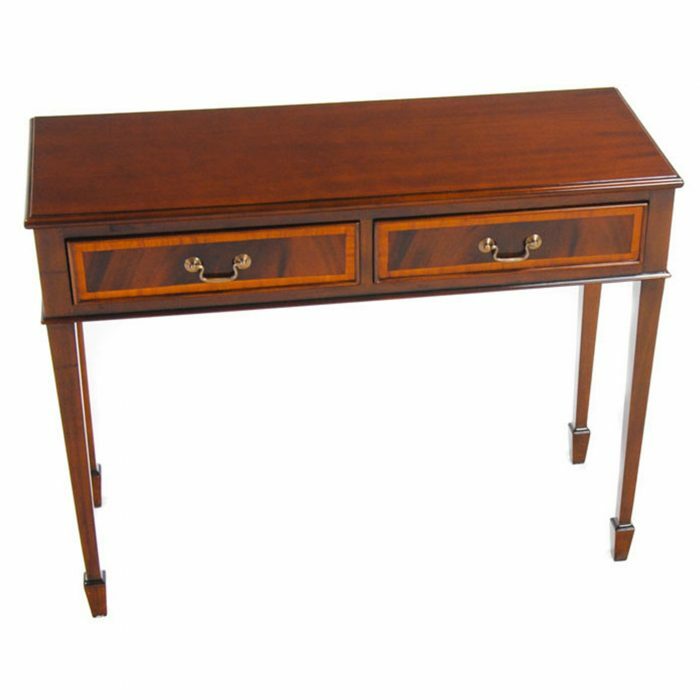 Drawing inspiration in design from the famous English Cabinet maker George Hepplewhite the Niagara furniture console is narrow enough to be used in a front entrance and wide enough to fill up a lot of wall space. 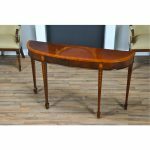 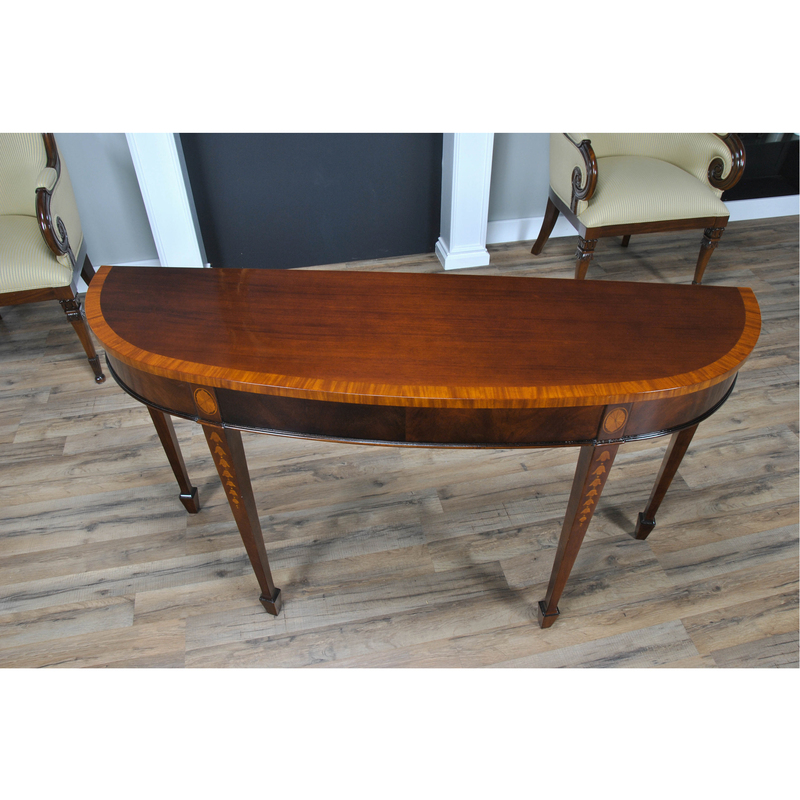 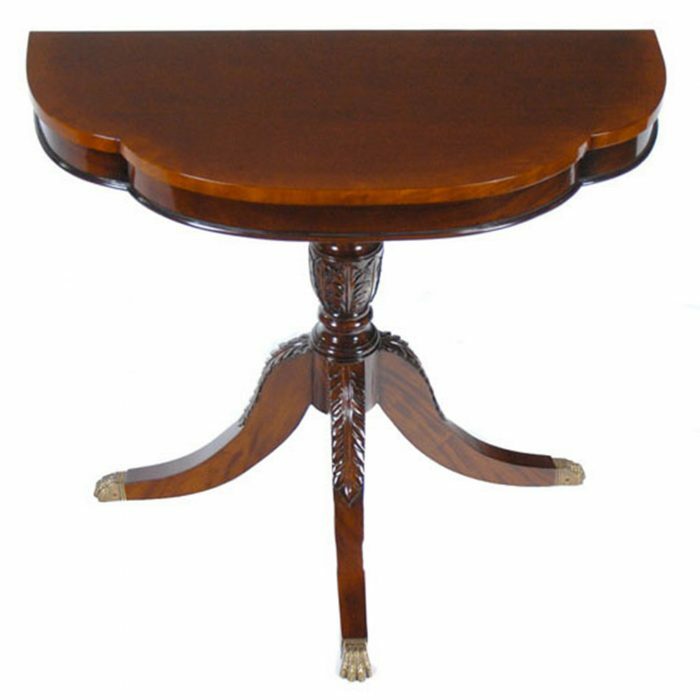 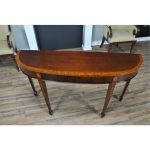 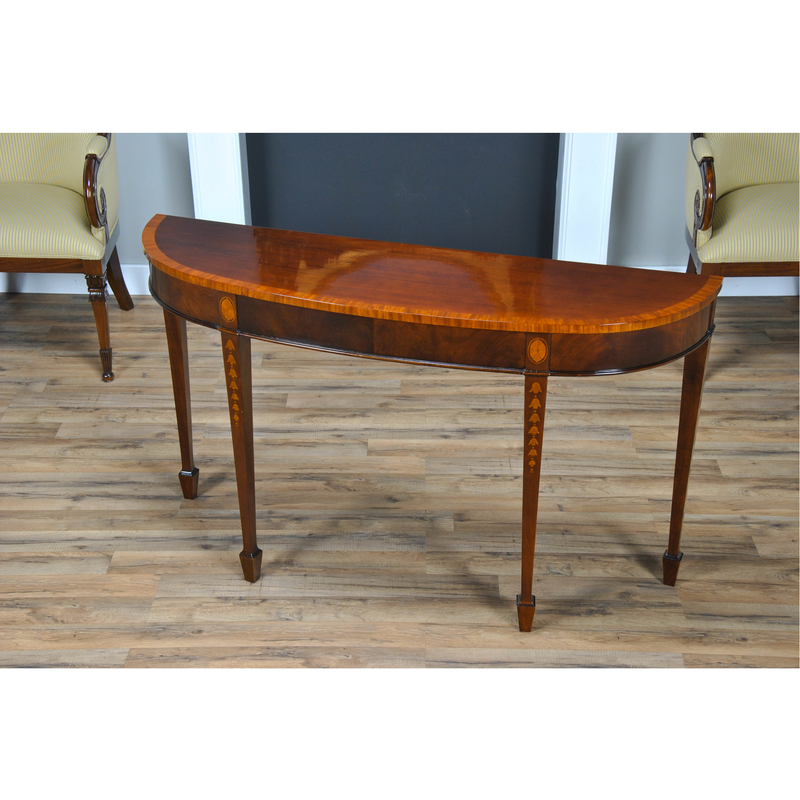 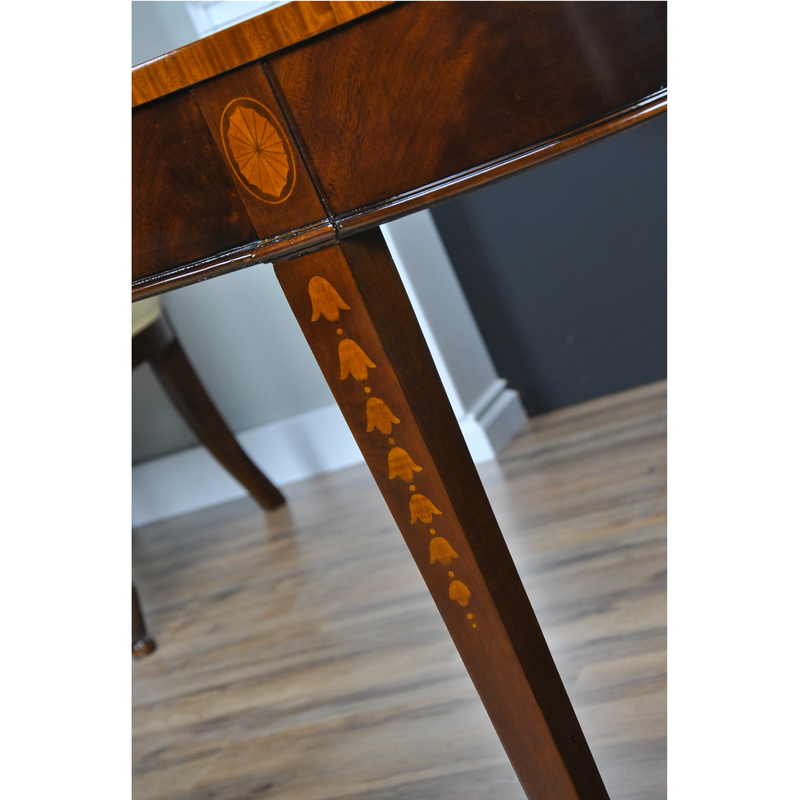 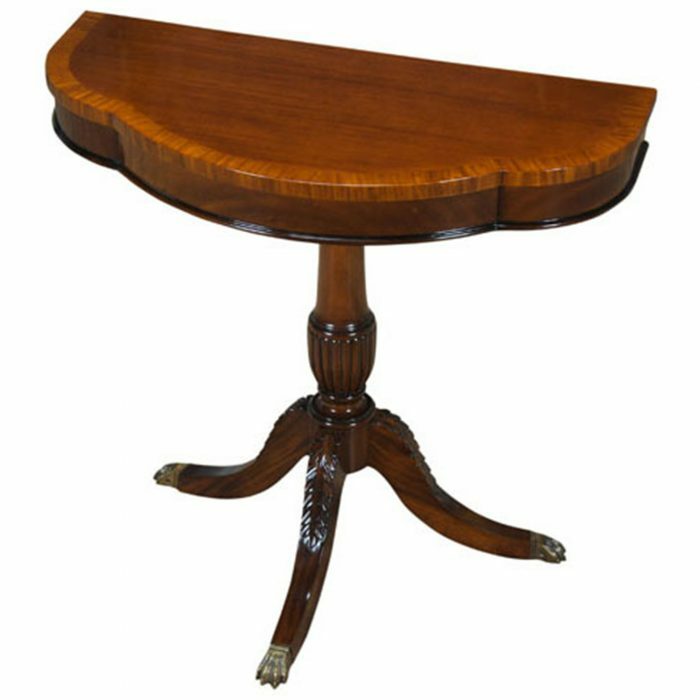 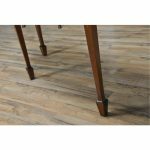 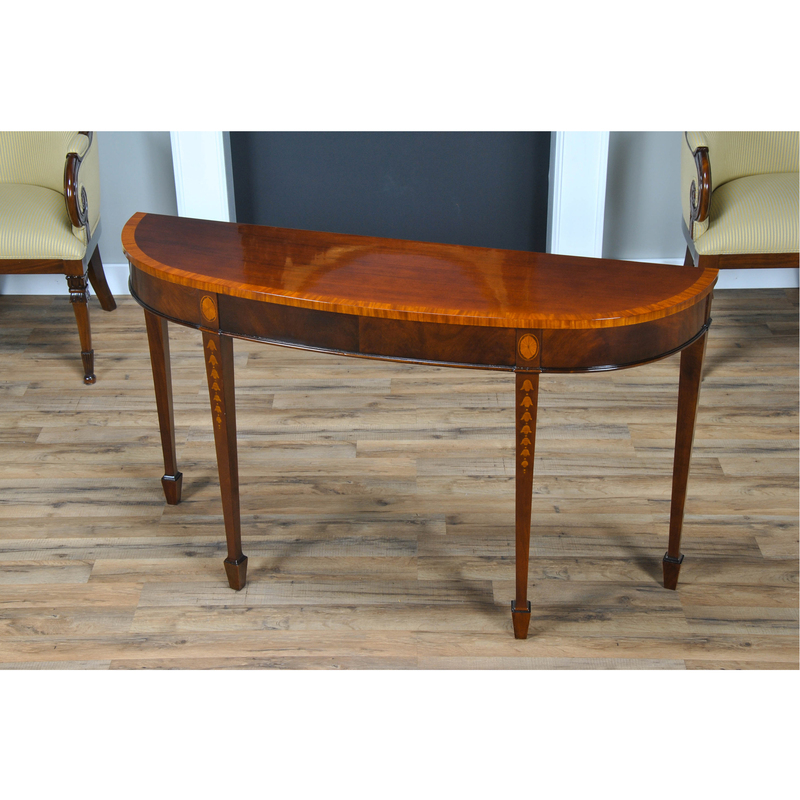 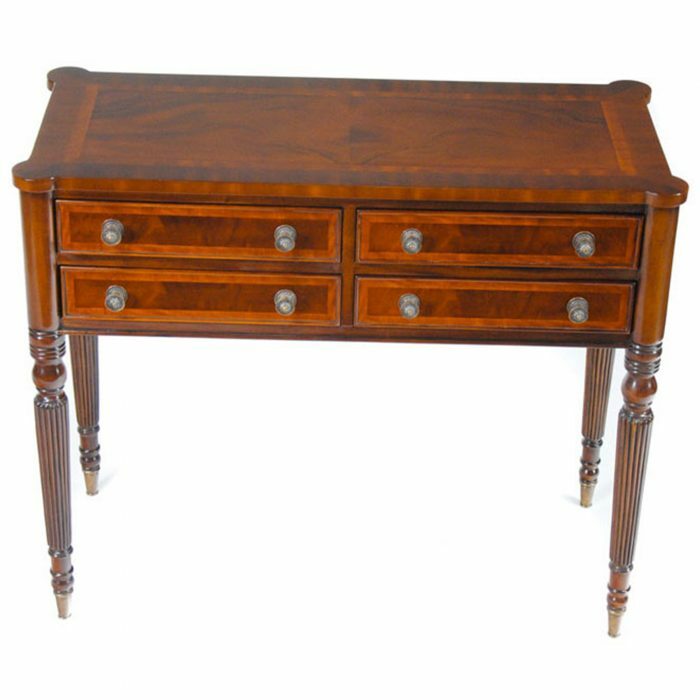 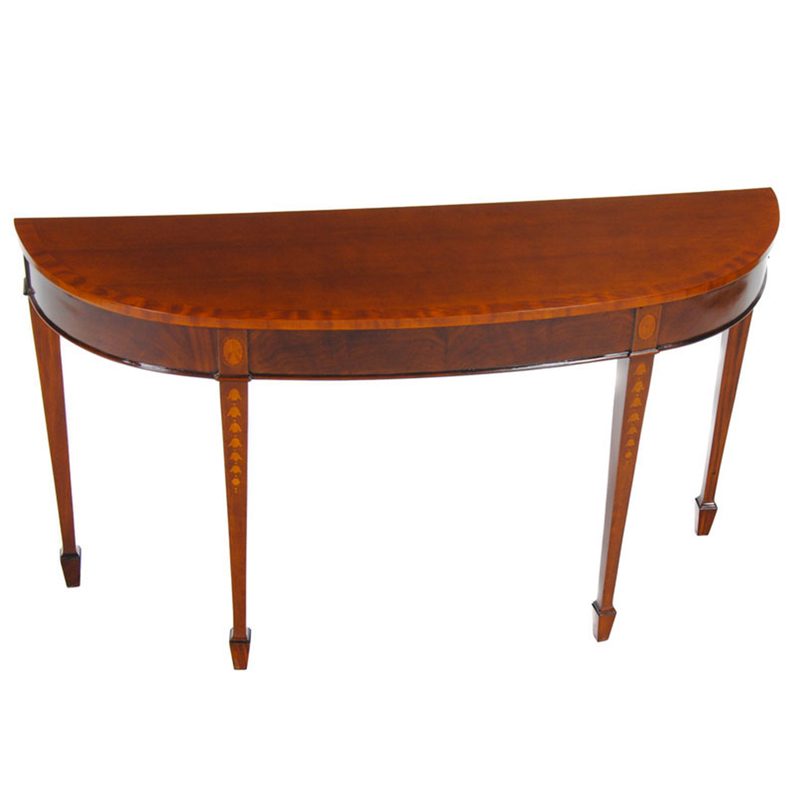 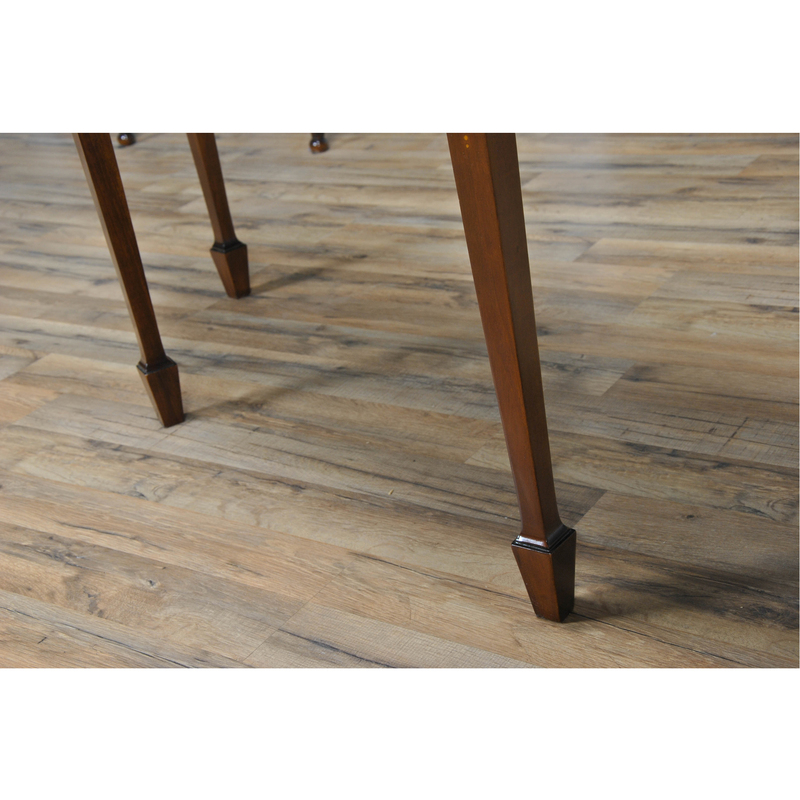 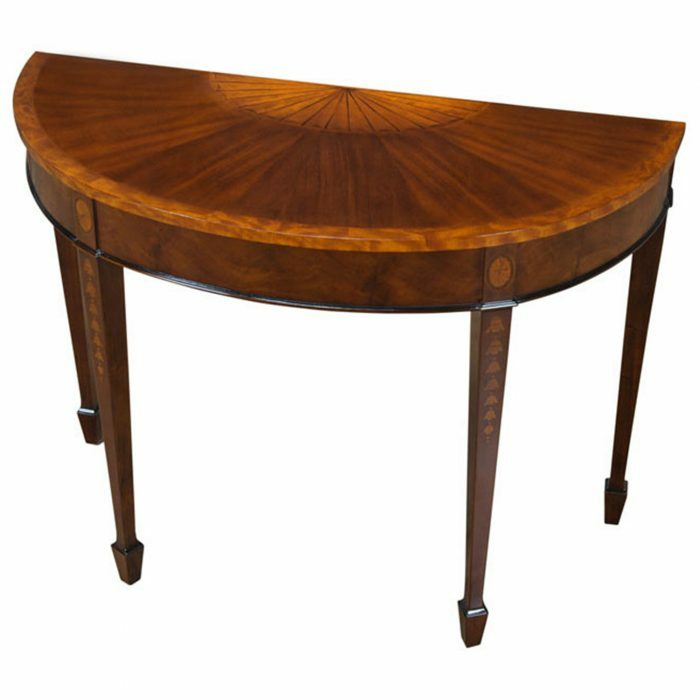 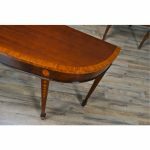 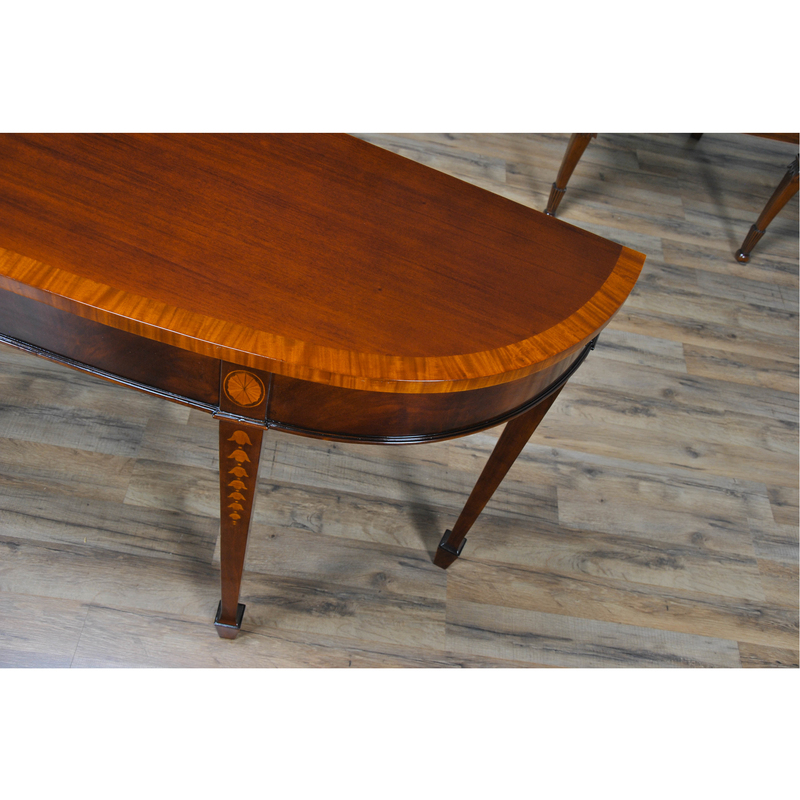 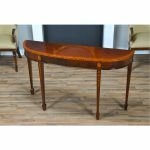 The mahogany top is banded with satinwood, the four legs at the apron have oval fan shaped inlays and there are cascading bellflower satinwood inlays to the fronts of the legs which themselves are made from solid mahogany and end in a spade foot style. 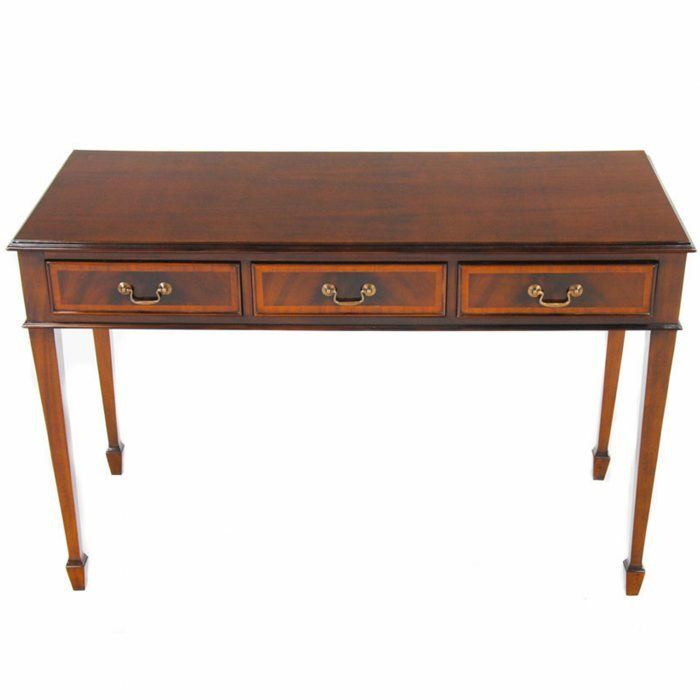 This Mahogany Inlaid Console table is the perfect size for use in a front hallway as it is quite narrow and does not protrude far into the room.